at your home or business? move outs, vandalism, weather damage. homes, businesses, foreclosures, apartments + more. the rest. Call for a free estimate. business,foreclosure, evictions, apartment move outs. brick, drywall, roofing, pallets, carpeting, tile disposal. recliners, mattresses, shelving, appliances, and more. garbage, children's toys, books, paper, and more. hauling for Knox County and all Knoxville Metro area. free estimate to remove your items. will be taken to the landfill. clean out and scrap metal recycling services. garbage, old furniture, rubbish, yard debris, appliances, and more. Contact us for free estimates for all your junk removal needs. filled with debris and trash. 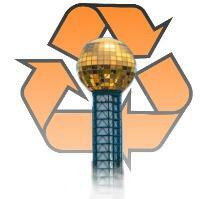 Scrap Metal / Electronics Recycling.